Here's what every Java programmer should be reading in 2019. If you are Java developer and wondering what to read in 2019, then you have come to the right place. In this article, I am going to share the top 10 books on Java, Spring, and other related technologies that every Java developer should read. I have included books for both experienced Java developers who are more inclined to learn about architecture stuff, developing for cloud, microservice, Java, and Spring 5 features, and even those thinking about learning Kotlin to improve their productivity, but I have not forgotten about the junior and less-experienced Java developers or even those thinking about starting their journey into the Java world in 2019. 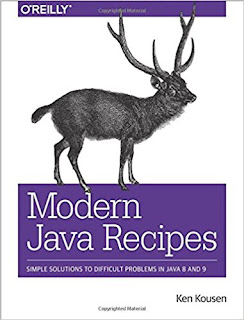 I have also included books you can read to learn recent Java versions in 2019. 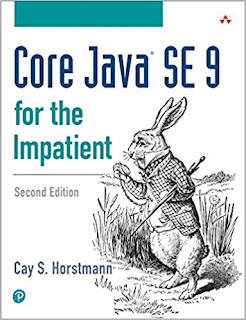 Some of the books like Core Java SE 9 for the Impatient and Java: A Beginner's Guide have been updated to cover Java SE 9 releases. This means that if you have just started learning Java or are thinking about learning, those are ideal books to start. There is no point in starting with old books — unless we are talking about Head First Java. The third edition of Head First Java is long overdue, and the author and publisher should take notice to update the book to include changes in Java 8, Java 9, and maybe even Java 12, but it is still a good book for people learning Java without any prior programming experience. One of my recent additions to this list is Cloud Native Java, which I only just found today. 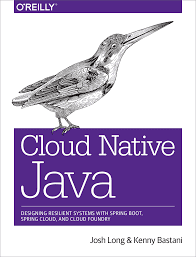 The book looks awesome as it covers the much-needed topic of developing a Java application for the cloud using Spring Boot, Spring Cloud, and Cloud Foundry. I haven't read it fully, but so far, it looks awesome. 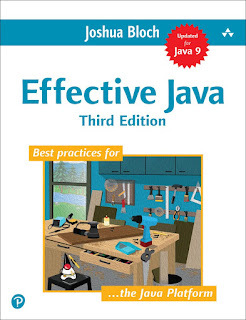 There are a lot of good books you can read in 2019 to improve your Java knowledge and skill, but it's practically impossible to read them all, but at the same time, there are certain books that you don't want to miss, like Effective Java: 3rd Edition, and that's why I have included it as the top book on my list. Even though the list is not very long, the books included in this list are excellent and you can easily read them during lunch or listen to them on your commute to work. So, without further ado, let's get to it. This has to be your first book in 2019 if you haven't read it already. The 3rd edition was long overdue. The new edition covers JDK 7, 8, and 9 features. This was actually the best gift for Java developers according to Joshua Bloch last year, and I received it the first week of January. It took me just a week or so to read this book, but I have found myself learning new items, particularly on Java SE 8 and Java 9 every now and then. I learned more about Java modularity by reading this book, and it also helped me sort out a couple of misconceptions I had about Java 8 features. If you like recipe books, then this one is a good read. As the title says, it contains simple solutions to difficult problems in Java 8 and 9. You will learn a lot about how to write code using Java 8 idioms like lambda expressions, method reference, and Stream API. If you want to learn Java 8 and Java 9 through tutorials and examples, this is the perfect book to read. 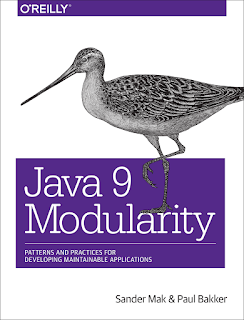 One of the highlights of the Java 9 release was Java Modularity or Java Module, and this book provides the most comprehensive coverage on that topic. When it comes to the Java 9 Module, the author Sanders Mak is a true authority. I have attended some of his Java 9 courses, like Java 9 Modules, What's New in Java 9, and What's New on Java 10, on Pluarlsight. I can safely say that you won't be disappointed after investing your time and money on this book. If you are in a hurry to learn Java, then this is the book I recommend for you. I am a big fan of Cay S. Horstmann's writing and the amount of detail he covers in this book. Having read his other books on Java 8, Scala, and Core Java, I can say that you will also become a fan after reading this book. It has been recently updated to cover Java SE 9 features, and if you want to learn Java 9, then this is the first book you should read in 2019. Even though it's been almost four years since Java SE 8 was first released, there are many Java developers who have yet to start with Java 8. 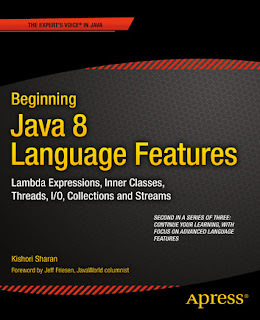 If you are one of them, or if you are someone who struggles to understand lambda expressions, the Stream API, Optional, and other Java 8 enhancements, then you must check out this book. It's a collection of three books and explains Java 8 fundamentals in a very simple way. The other two books from this author cover more advanced topic from Java 8 like JDBC, Swing, Java FX, and Java Networking APIs. The software development world is increasingly moving towards a microservices architecture as it offers several benefits in terms of development, support, deployment, scalability, and reliability. Thankfully, the Spring Framework provides different tools like Spring Boot and Spring Cloud, which can be used to write microservices in Java. 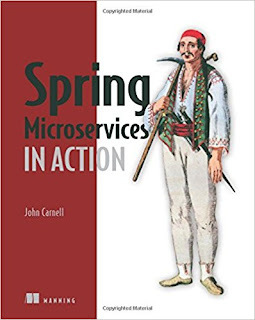 If you are keen on microservices development with the Spring Framework, then this book is for you. This is one of the books I read back in 2017, and I enjoyed a lot. 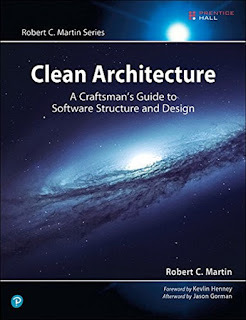 I am a big fan of Robert C. Martin, or Include Bob, having read Clean Code and Clean Coder. And I must say that this book completes the trilogy of the Clean Code books. This book tells you how to create a software architecture that can stand the test of time. It also removes misconceptions about design patterns and software architecture. If you are an experienced Java developer and thinking to become a solution architect, then this is the one books you must read in 2019. Spring 5 very important because it introduced reactive programming features in Spring. Since Spring is without a doubt, the most popular framework for Java development, it's worth learning what's new in Spring 5 and keeps yourself up-to-date. I personally like Recipe books because of their task-based approach and that's why I chose this book among other Spring 5 book for learning. It not just covers new features of Spring 5 but also all other enhancements done on earlier releases. In short, it teaches you how to code in Spring 5. It's common for Java developers to learn other JVM languages like Scala, Groovy, and Closure to become PolyGlot programmers, and Kotlin is certainly leading the pack at the moment. In 2017, Google announced Kotlin as the official language for Android development in Google IO, and from then onwards, there has been a lot of interest in learning Kotlin. Though, more importantly, it offers productivity benefits and it's 100-percent Java. 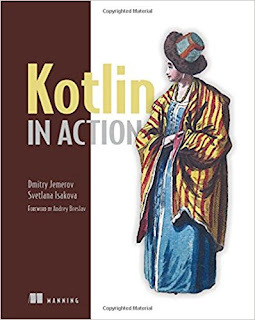 So, if you want to learn a JVM language in 2019, I would say just learn Kotlin. This is another classic book to learn core Java from scratch. 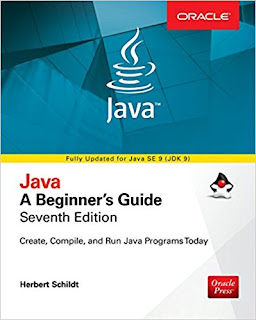 The seventh edition of this book is out now and has been updated to cover Java SE 9. If you want to start your programming career with Java in 2019, then you can read this book to learn the latest version of Java. This is more comprehensive than the second book on this list, which also covers Java 9. If you have read this far, then you have earned a bonus! And that's why I am sharing one of the most useful Java books in 2019: the Cloud Native Java. Today's software development is all about cloud, microservices, distributed architecture, etc., and in this practical guide, Josh Long and Kenny Bastani show Java/JVM developers how to build better and faster Java applications using Spring Boot, Spring Cloud, and Cloud Foundry. This is one of the must-read books for experienced Java programmers. Even though it handles an advanced topic, I strongly recommend this book to every Java developer. That's all for now on some of the most interesting and useful books that Java developers can read in 2019. To be honest, there is a lot to learn, even to keep yourself up-to-date with what is happening in the Java world, e.g. Java 9, Spring 5, microservices, Kotlin, etc. These books will not only provide you up-to-date knowledge but also improve your understanding of Java features. Thanks for reading this article! If you like these books, then please share this list with your friends and colleagues. Have any suggestions or book recommendations for Java developers? Then, please leave a comment below!